When your organization is facing major changes, such as lay-offs, expansion, or outsourcing, a change management speaker can help your team navigate the often-rough waters and growing pains that accompany such change. But finding the right change management speaker is key to easing fears and facilitating a smooth transition. If a change management speaker doesn’t properly acknowledge the strong emotions that can accompany change, they run the risk of alienating your audience and doing more harm than good. 1. Look for specific experience. The change management speaker you choose should not only have experience giving talks about change, but should also have successfully lead a company or team through times of change in their professional life. It’s one thing to talk about change; it’s quite another to live it. Find a change management speaker who has done both. 2. Look for emotional maturity. Some change management speakers take the “this is gonna be GREAT!” approach to discussing change. They fail to acknowledge the very-real fears and discomforts that often accompany change. The only way to truly inspire and motivate during times of change is to first deal with the tough stuff. 3. Look for clear action steps. A great change management speaker on change will not just discuss concepts and emotions, however. They will provide your team with a clear, specific plan of action for moving forward into the future. Be on the lookout for clear-cut action steps when watching the change management speaker’s videos, and ask for a plan of action when interviewing them for the job. 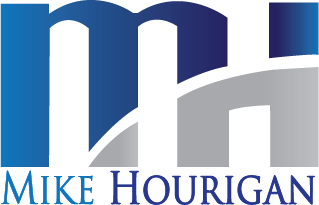 Mike Hourigan is a change management speaker for established companies, organizations, and events throughout the United States and Europe.